14k White Gold Engagement Ring | Shane Co. 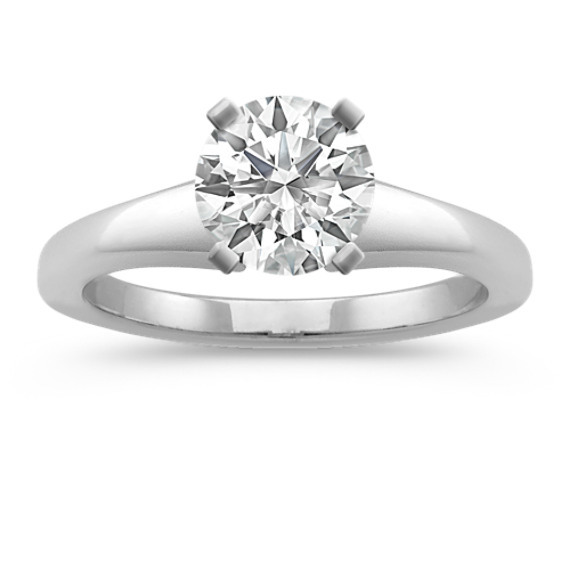 This 14 karat white gold engagement ring is a wonderful choice for the diamond of her dreams. The whole online purchasing experience was great. The website made it very easy to compare rings and diamonds. Sadly, when I went to the Denver store to pick up the ring I was let down because EVERY single associate ignored me. A few young ladies looked right at me and just walked past me and it was clear they weren't assisting anyone. After nearly 15 minutes I had to track down someone to help me so I could pick up the ring. I was directed to the counter and that was about all. The lady at the counter retrieved the ring and I was on my way. There was nobody to examine the ring with me, nobody to go over the diamond with me, nobody to answer any questions I might have had, etc. What happened to in store customer service?